Nuke UI + Intro to Compositing Bundle! NAB 2011: mocha to Nuke stereo conversion with Steve Wright from Ross Shain on Vimeo. FlareFactoryPlus is a tool I wrote that fills a big gap in Nuke…preset Lens flares. Typically in Nuke when you need a lens flare for a shot, you have to just spend the time to make one by hand. But sometimes that’s a tall order when a deadline is looming! That’s where FlareFactoryPlus comes in. Load it up, then all you have to do is select your preset flare and you’re 90% there. You can then customize the flare with a series of controls such as the opacity, size, position, color, brightness, and even chroma shift. A built in automatic tracker is included as well for integration. Just hit ‘Go’, and watch MaxTrack track the brightest pixel in your scene. Download FlareFactoryPlus and check out the 16 presets I’ve used for a number of studio projects over the past 2 years! 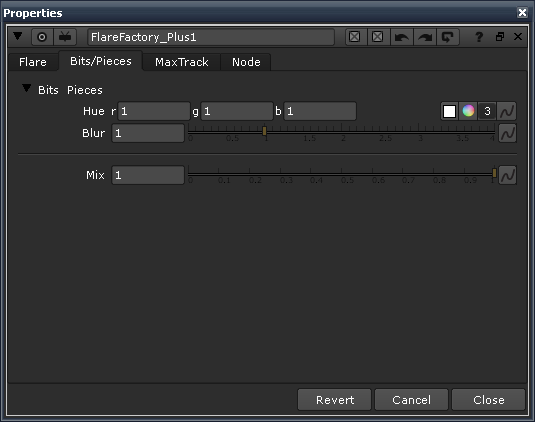 The current version of NFXPlugins 1.0v1 contains 25 separate nodes for The Foundry's Nuke compositing application.